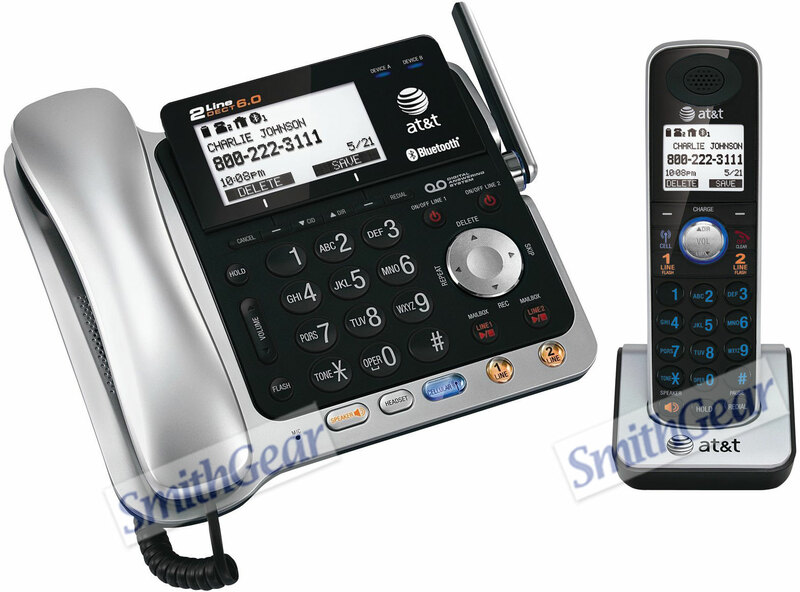 The new AT&T TL86109 2-line Corded/Cordless Expandable Phone System merges DECT 6.0 technology with BLUETOOTH capabilities, enabling you to make and receive both landline and cellular calls with one telephone. Now you can easily manage all calls with one device while at home or in the home/small office with crystal-clear communication. Two cell phones can be connected to the TL86109 base at one time. This feature allows you to take a landline call on one handset, while using another handset for a cellular call simultaneously. In addition to its cellular call capabilities, the TL86109 is capable of downloading up to 6,000 cellular phonebook directory entries, eliminating the need to re-enter cellular contacts on the home phone manually. The TL86109 is expandable with up to 12 cordless handsets using the TL86009 accessory handset, ensuring accessibility to calls anywhere in the home or small office. This MODEL includes (1) wireless headset model TL7800.